Love your horse but can't care for him? Why do horses become unwanted? Even with the dwindling economy and soaring prices of hay and fuel, the cost of buying a horse has decreased. However, the costs and responsibilities associated with owning a horse have increased according to calculators based on the actual experiences of ranches and owners who care for horses. Recent estimates put owning one healthy horse at around $10,000 a year. This includes basic care costs associated with vaccinations, deworming, hoof care, nutrition and shelter. Recent estimates put owning one healthy horse at around $6,500 a year. This includes basic care costs associated with vaccinations, deworming, hoof care, nutrition and shelter. Unfortunately, horses do get sick, become lame, become elderly or have career ending injuries. Also, children and adults become disinterested or move away from home, or a divorce or job loss may affect an ownerâs financial resources. If you experience any of these, and need to rehome your horse, the sooner you start, the better the chance of finding a situation with which you are satisfied. Recently, the costs of owning a horse have continued to rise as hay prices increase and drought and floods affect the feed supply for horses. In addition, historically, the housing and mortgage crises, although improving somewhat currently, have exacerbated the problem of unwanted horses. Actually selling or giving away your horse may take time, so be prepared to re-evaluate the price you are asking and remain vigilant. Selling your horse privately gives you some short-term control over who purchases your horse, where it will reside and what activities it will be participating in. 2. 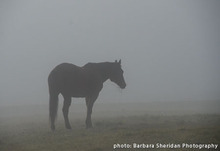 Horse rescues: If you are unable to sell or care for your horse, a horse rescue is an option. There is a real cost associated with the rescue caring for your horse and the rescue may not be able to accommodate your request based on physical room, the ability to feed the horse, or finances. Do not assume that you will be able to call on a horse rescue at the last minute to help you out. Many are full to capacity, though some may help you spread the word that your horse is looking for a new home. 3. Sale Barns: Although sale barns provide an outlet for horse sales, owners have little control over the buyers, where the horse will go, or the price. If a quick sale is necessary, a sale barn is a legitimate option. Sale barns usually charge a fee for selling and advertising your horse, can have deadlines for consignments, and may require a negative Coggins and/or a health certificate. Before consigning your horse to a sale barn, make sure you meet and understand the barn's requirements for consignment and understand that you will have little control over the sale of your horse. "Many of us, including veterinarians, can be highly emotional while dealing with our horses' illnesses, and the ability to make decisions can be hampered, especially when one is expected to make a tough decision within a short period of time." 4. Euthanasia: Euthanasia, the practice of intentionally ending a life in order to relieve pain and suffering, comes from the Greek language meaning "a good death." In the majority of cases, there are two instances wherein equine euthanasia is considered. 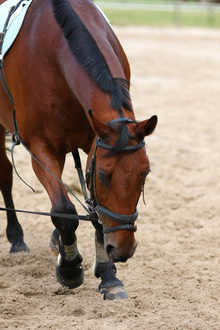 The first involves an emergency setting where the horse is seriously ill or injured, such as cases of severe colic, head or spinal trauma of the horse. This requires immediate veterinary attention and involves evaluation and consideration for euthanasia. Many times the decision is made for the owner by the vet, for the sake of the horse. Deciding to euthanize a horse is probably the hardest decision a horse owner will need to make, but it is a better alternative than neglect or prolonged suffering. When euthanasia is administered by a veterinarian, it can be humane. In an ideal world, horse owners prefer the thought of their aged horse dying a peaceful, natural death. Unfortunately, many owners are faced with the difficult decision of having to put down their equine, whether young or old, due to humane or medical reasons. According to the American Veterinary Medical Association (AVMA), there are three approved methods for the euthanasia of horses: chemical euthanasia, with pentobarbital or a pentobarbital combination. If as a horse owner it becomes necessary to resort to euthanasia to keep your horse from suffering, advice from fellow horse owners and certainly your veterinarian are extremely important.